The best of Slovenia’s Alps are contained within Triglav National Park, which is named for Mt. Triglav, the park’s highest peak (2,864 meters). The mountains in Slovenia’s borders are somewhat smaller than those found in Italy or Austria. However, they are no less scenic. There are plenty of challenging climbs and breathtaking viewpoints that will satisfy the most avid hiker. 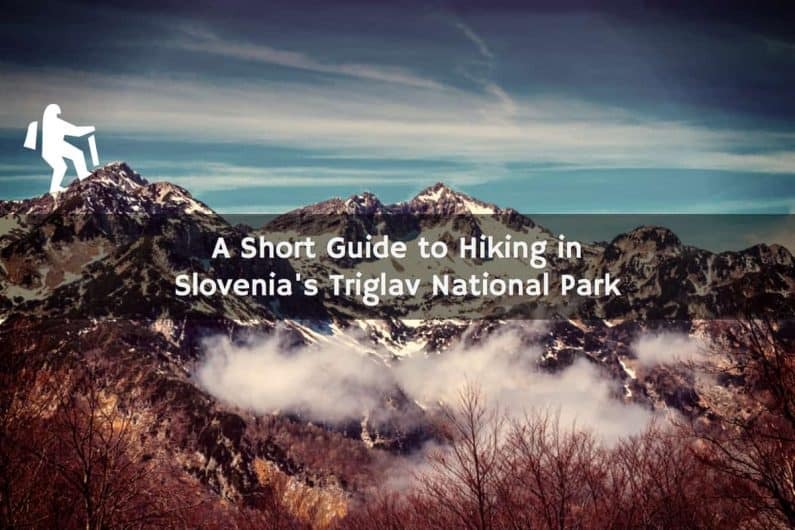 Here are a few tips to help you make the most out of a trek through Triglav National Park. Plan at least two days on the trail to reach the summit. Slovenians consider it a rite of passage to stand atop the country’s highest peak. The summit can be approached from several directions, but in most cases, a round trip will take an experienced hiker 16-18 hours. Basically, hiking Triglav in one day is doable, but you will wear yourself out. Do yourself a favor and plan to stay overnight in the park. You will enjoy the hike a lot more since you won’t be rushed. Make reservations beforehand at one of the mountain huts. Camping in the park is illegal, so you’ll need to reserve a spot at the Alpine Club’s mountain huts to stay overnight. A dorm bed will run you 20 euros (less if you can show an Alpine Club card). Hot food is available, but generally expensive. It’s a good idea to bring extra snacks. You can obtain a comprehensive list of hut phone numbers from any tourist office. You will need to reserve by phone at least a few days in advance for the more popular huts. It’s often easier to get a spot mid-week as more locals head to the park on weekends. Some hikers show up without a reservation, which is risky and tends to annoy the hut managers. Ascend by way of Voje Valley towards Mt. Triglav and descend through Seven Lakes Valley. If you want to ascend Mt. Triglav and get a proper tour of the park, this is by far the most scenic route. When you take this route, plan for a two-night trek. The best hut to stay at for the first night is Dom Planika pod Triglavom (aka “Planika”). You can check in, drop your bags and ascend Triglav on your first day, or save the ascent for the morning of your second day. Reserve your second night in one of the huts in the Seven Lakes Valley region. From Seven Lakes Valley, you will descend into the Bohinj Lake Valley on your third day. Breaking up this route into three days will give you plenty of time to enjoy the scenery. Pericnik waterfall in Triglav National Park, Julian Alps, Slovenia. Check your shoes before commencing your hike. The alps contain rocky, steep and difficult terrain. When your shoes fall apart mid-hike, you may have a very difficult time continuing your journey and getting back to town. If your shoes are more than a few years old, you may want to consider replacing them before taking on the Alps. See how to break in hiking shoe to prepare for better comfort during your Triglav National Park hike. Even if you’re young and spry, poles can help enhance both safety and stamina. Hiking poles are useful for traversing slippery rocks and steep slopes. They will also greatly ease the strain on your knees during steep descents. The alps are serious mountains, so bring serious equipment. Topographical trail maps are easily purchased from the tourist offices. A map with full detail will help you plan your route, learn more about the area, and locate nearby huts should you find yourself in an emergency.